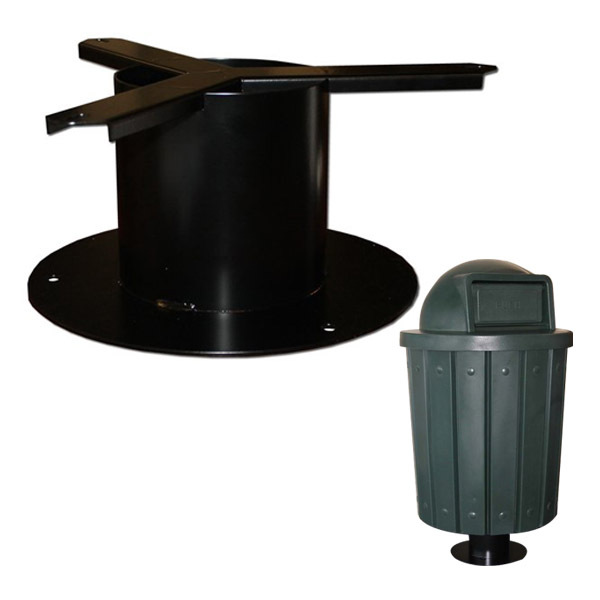 This 42 gallon dome top plastic receptacle features a liner, molded handles, and lid with a stay closed swing door. We offer an optional vandal resistant pedestal that can be installed onto concrete. Our plastic trash cans are commercial grade and made in the USA. 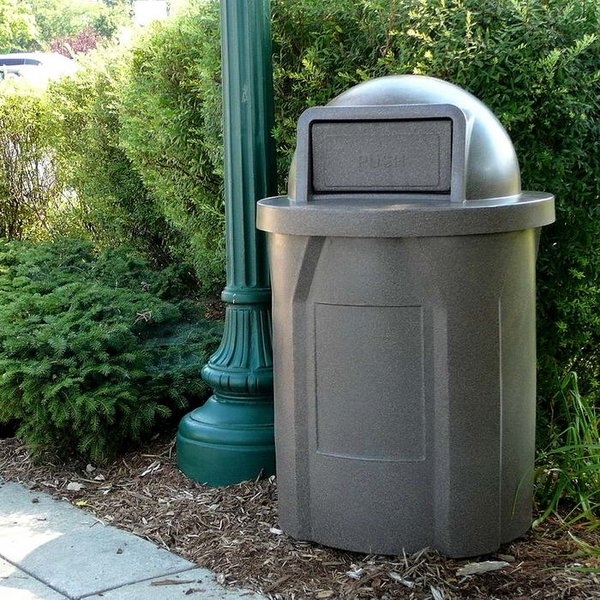 Keep your park clean with a trash can built for commercial use!